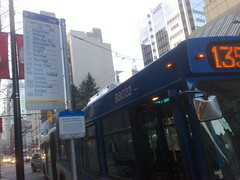 New to Vancouver or just not into figuring out the bus system? And need to get to the NV08 Opening Party? Then join me at Blenz at 508 West Hastings (at Richards, in front of SFU Harbour Centre). WHEN: Thursday Feb 21, 2008 at 5:15p.m.